We are ESL instructors at Brock University trying to reach a fair contract with the university’s administration. CUPE 4207 members are the backbone of Brock’s popular and high-quality English as a Second Language (ESL) department. While Brock’s administration seems to recognize the importance of the ESL programs and have plans to expand and grow ESL teaching at the university, the same administration is not recognizing the important contribution and work of the ESL instructors who helped build the programs by refusing to offer them a fair contract. 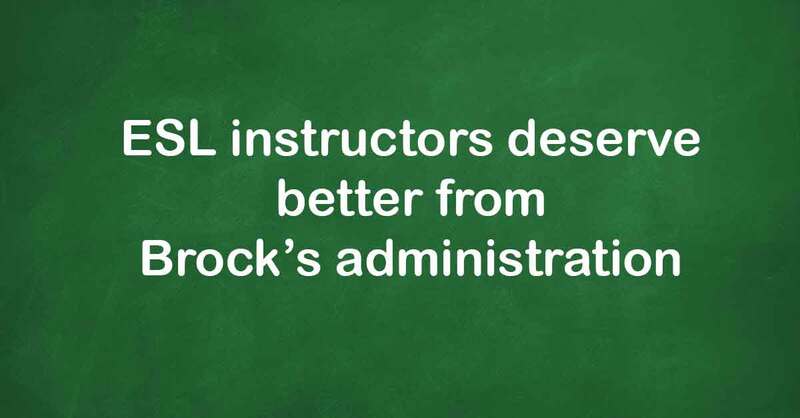 It is time for Brock’s administration to invest in the ESL instructors who built and deliver the popular, and in-demand, ESL program by negotiating a fair contract.